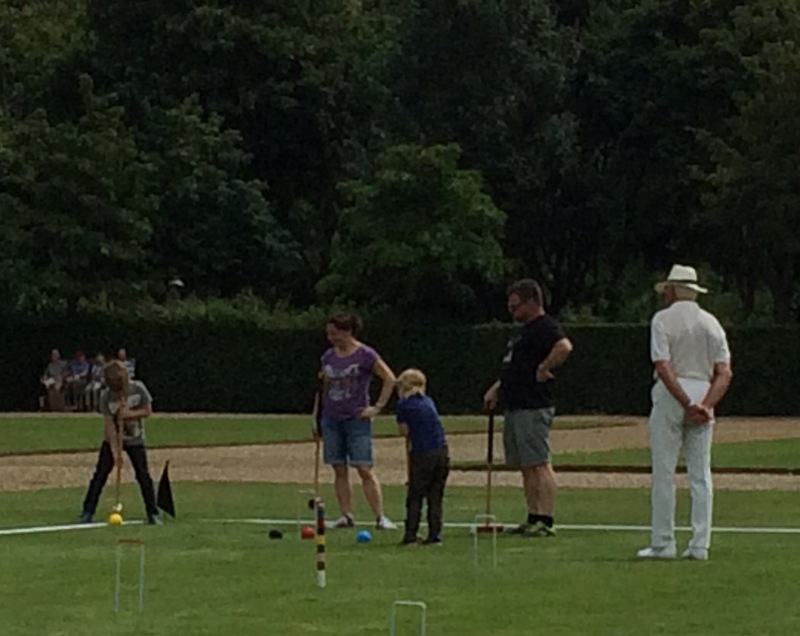 Croquet returned to Ham House on 16th and 17th July as Jaques of London once again held two of their Family Fun days there in conjunction with the National Trust. 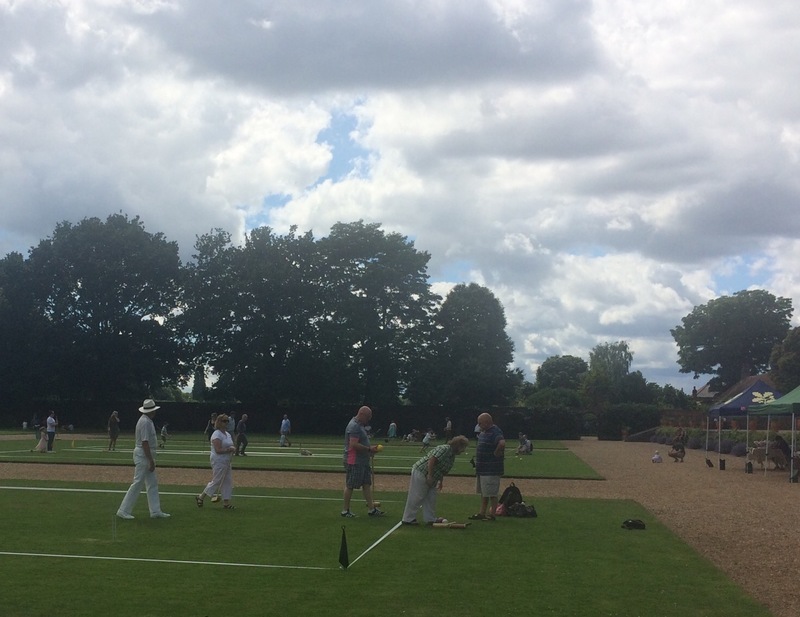 Along with other outdoor games, five short lawns were laid out for croquet and lots of people, with lots of children, came to have a go. 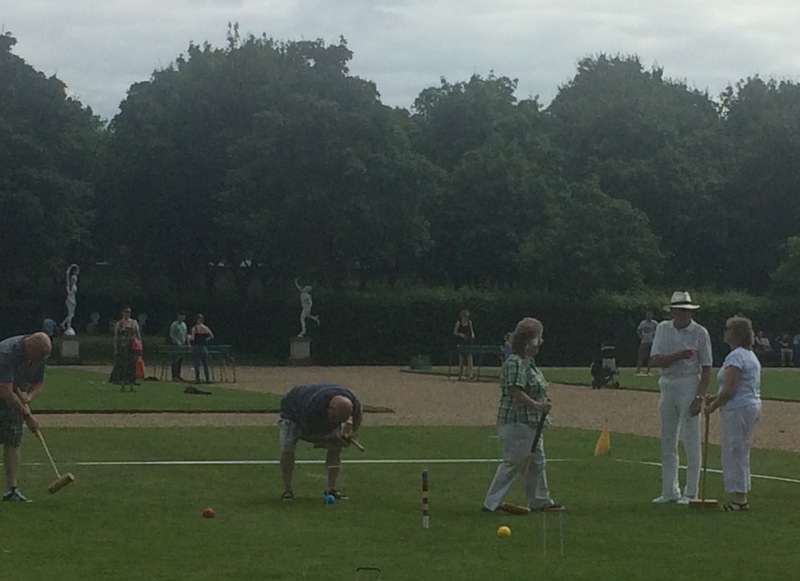 For the second year, members of Ember Croquet Club joined Ben Jaques and his son Tom in providing instruction and assistance to visitors from all over London and beyond. The weather was fine and the surroundings congenial, providing an all too rare opportunity to promote public awareness of an under-appreciated sport.